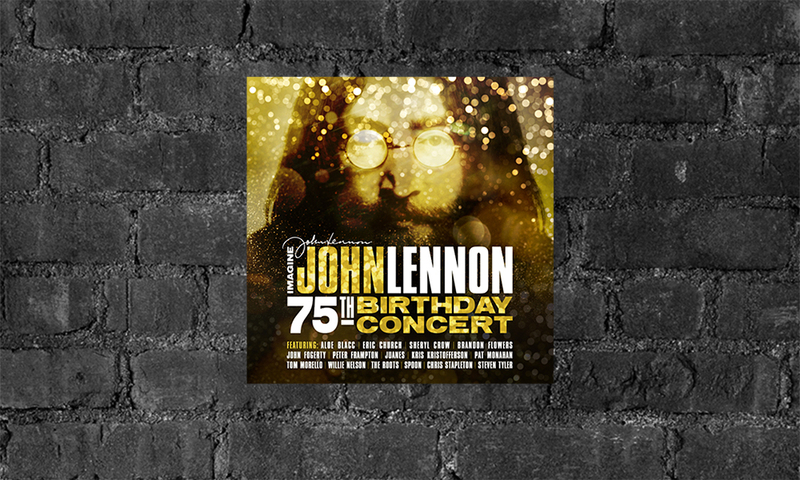 We’re so excited to announce the CD/DVD/LP release of Imagine: John Lennon 75th Birthday Concert. The concert film and music release features a collection of legendary singers and superstars who came together for a once-in-a-lifetime concert event taping in New York City at The Theater At Madison Square Garden to celebrate the songs of music icon John Lennon. Blackbird Presents Records will release the full-length concert as a double CD, DVD and LP, which are available for immediate pre-order in The Blackbird Shop. The CD, CD/DVD, and LP packages will be released in January, 2019. “All You Need Is Love” (audio only) is available as a pre-release download today from all your favorite online music stores. “John’s art continues to give hope, light and happiness to generations of people everywhere. His belief that each of us can change the world continues to inspire the human race to believe in themselves, and his influence is everlasting in everyone’s hearts as we all share in the possibilities and power of music,” says Yoko Ono. In addition to the CD/DVD/LP, you can also get exclusive merchandise bundles that include T-shirts, hoodies, pint glasses, and a guitar pick necklace. Visit the show page for more information, to watch clips and listen to track snippets.